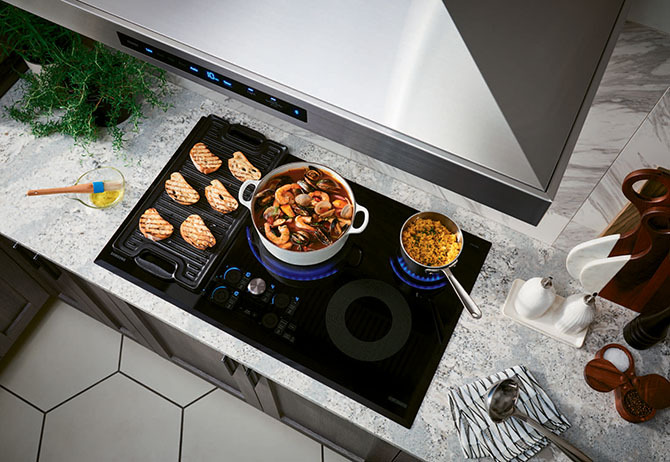 The Samsung induction cooktop offers a Flex zone which automatically adopts to the shape and size of your pots and pans. What would make your home work better for you? There are many tools available to help seniors age in place in their homes, because home is indeed where the heart is, as well as where cherished memories, dignity, and optimism reside. Independent aging tools can range from home building modifications, installing smart technology, scheduling meal delivery and house cleaning, and improving lighting, among other things. The key to making successful home modifications is to consult an occupational therapist up front and create a comprehensive plan rather than making changes as needs arise. 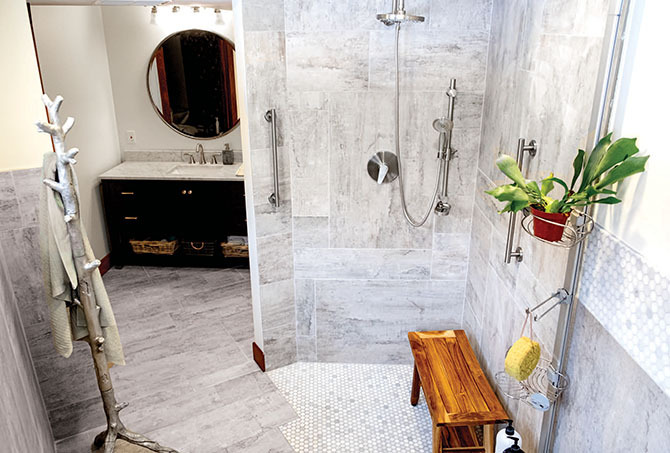 Grab bars, a place to sit, non-slip floor, and hand-held shower head are all things to consider in an age-friendly shower. Morgeson says there’s no one-size-fits-all independent aging plan, and that each plan should be customized to the needs of an individual and his or her caregiver. 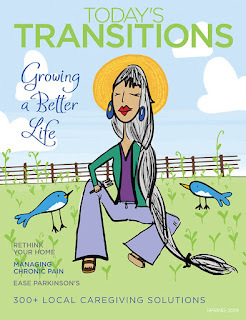 She also insists that age-enabling a home can be beautiful and seamless without having an institutional look. Some of the home products they recommend are fall alert systems and voice-operated virtual assistants like Alexa or Echo. Other simple tools include automated light sensors that turn on when motion is detected. These are especially helpful at night when people get up to go to the bathroom. If there are memory impairment concerns, automatic shut-off switches for the stove and oven are ideal. 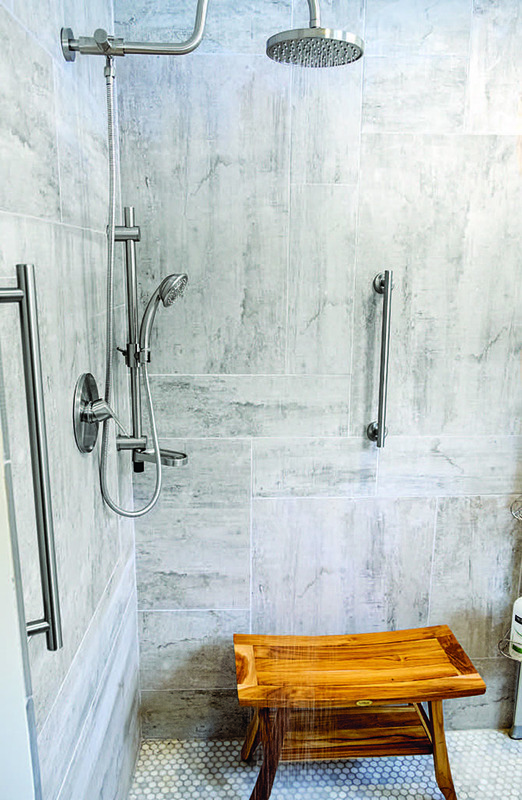 In the bathroom, grab bars, non-skid floors, and bright lighting may help, as Morgeson says accessing the shower and getting on and off the toilet are common obstacles. Preserving a person’s dignity is important, and solutions such as bidet seats and caregiver half doors for a shower area are also available to assist with hygiene. “Other options are more in-depth such as remodeling the home to install a walk-in shower or moving a bathroom, bedroom, or laundry area to the main floor,” she says. Extra tidbit: Three things to try this spring that can make you feel good.